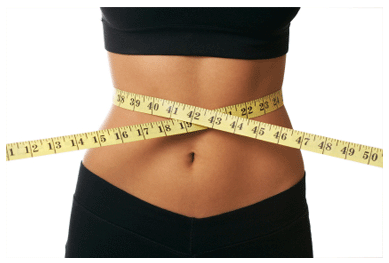 K-trim, as part of a sensible diet, is an amazing dietary supplement that contains ingredients which help you to lose weight in 8 amazing ways*! Most diet pills feature just one or two main ingredients. 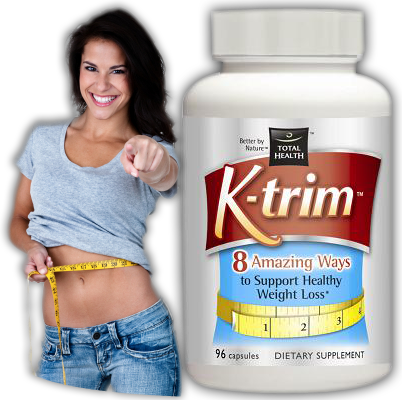 Because everyone loses weight in different ways, K-trim attacks weight loss in 8 different ways! Also, K-trim combines ingredient and ingredient blends in clinical strength amounts. Many diet pills add ingredients in small amounts we call “sprinkles” - just enough to list on the label but not enough to work. Why would they do that? It’s simple...because it is cheaper and they can fool you into thinking they use enough ingredients to help you when they are just trying to make more money. 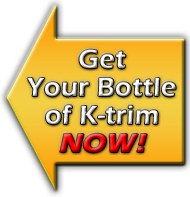 K-trim contains 33 incredible ingredients! Plus, Six human clinical trials and Eleven patents support various ingredient and ingredient blends found in K-trim. lost an average of 30 pounds in just 3 months! That's twice as fast as other programs like Sensa®! Your Dream Body is Just a Click Away! K-trim is an advanced formula that was developed for people who are seriously interested in losing weight. Would you rather wonder if you could have done something about your weight gain and stress or would you rather take the first step to a healthier, happier you right now? What we’re saying is that you’ll never know how well K-trim works until you try it yourself. Rereading over and over about K-trim won’t get rid of those persistent pounds so take action today! Helps control your appetite and hunger. Helps you to feel fuller longer. Promotes feelings of emotional well-being. Helps balance healthy metabolic function. In a study lasting 90 days, participants who took an ingredient blend that is a part of K-trim lost an average of 30 pounds vs. 13 pounds for those who didn’t take the blend! In another study, with a different ingredient blend also found in K-trim, in 8 weeks participants who took this blend lost an average of 11 pounds vs. 2 pounds for those who didn’t. That’s over 5 times average weight loss! In a third study, that took 12 weeks, participants who took a third unique ingredient blend lost an average of 14 pounds vs. just 2 pounds for those who didn’t take this blend. An amazing 7 times average weight loss was achieved! 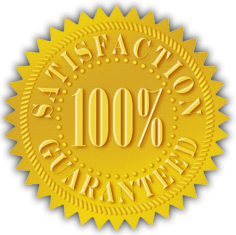 *The statements and product shown on this website have not been evaluated by the US Food and Drug Administration. This product is not intended to diagnose, treat, cure, or prevent any disease. Those seeking treatment for a specific disease should consult a qualified integrative physician prior to using our products if possible. This product should be taken as part of a healthy diet and lifestyle. Individual results will vary. © 2010-2012 Total Health, Inc. All Rights Reserved.